Malwarebytes Anti-Malware is considered to be the next step in the detection and removal of malware. This product has been compiled from number of different technologies that are designed to quickly detect, destroy, and prevent malware. 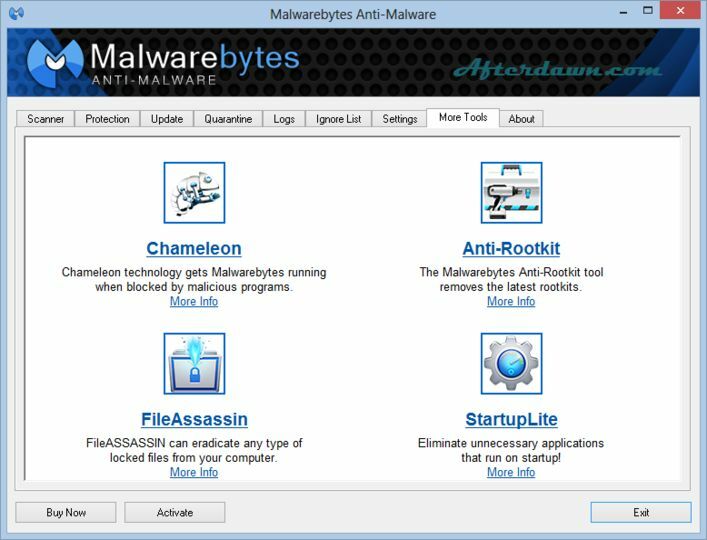 Malwarebytes' Anti-Malware can detect and remove malware that even the most well known anti-virus and anti-malware applications fail to detect. Malwarebytes' Anti-Malware monitors every process and stops malicious processes before they even start. The Realtime Protection Module uses our advanced heuristic scanningtechnology which monitors your system to keep it safe and secure.